One of Japan's most famous directors, Takashi Miike recently revealed that he's working on a film version of a popular DS game. The game is believed to be a film version of Ace Attorney (these might be the first set pics). Miike isn't a stranger to video games or video game movies. He's made a couple before. In the West, Miike first made a big splash with his 2001 flick Audition, and his hard-edged films have found Western audiences ever since. 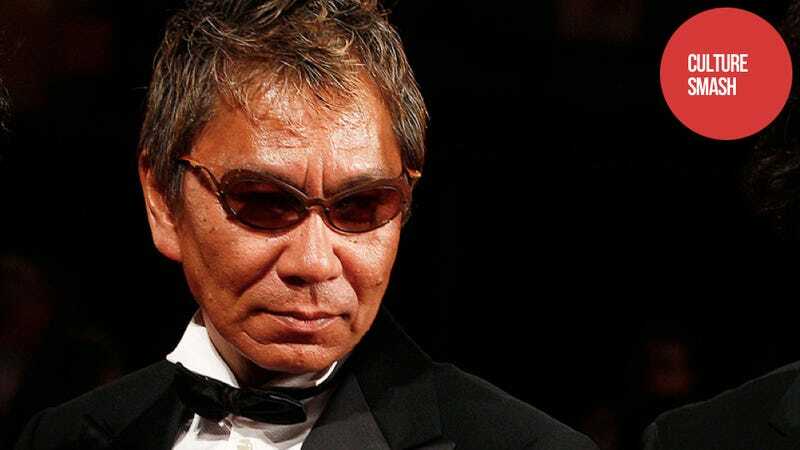 Miike is an incredibly prolific filmmaker—he's made over 70 films since 1991. Not all seventy films are good. He's made a lot of crap! But he's also make many truly interesting films. There's no doubt, Miike is making a game film. But it's not his first game flick. His Dead or Alive series are totally unrelated to the Tecmo fighting games, but he did make a 40 minute film version of Sega's Yakuza. It's a prequel, and it was released way back in 2006. In 2007, Miike made a full theatrical feature version of Yakuza. It was decent—a faithful, if not muddled and somewhat tame, movie version of Sega's crime saga.